The internet marketing industry for law firms is booming with many law firms spending a lot of money each month to strengthen their online presence and stay ahead of their competitors in a very competitive online space. Internet marketing for law firms so far has been focussed mainly on SEO and Google Adwords advertising. This makes sense since a lot of people use search engines to find information about law topics and to research different lawyers that they could hire for their case. While SEO and PPC advertising are still very important for law firms, social media marketing is becoming more and more important today in almost every industry including the legal industry. Many law firms and internet marketing agencies have not yet picked up on this, which means that there is a huge opportunity to start amping up your social media marketing today and jump ahead of your competitors. Let’s have a look at why it’s so important to have a solid social media marketing strategy in place for your law firm. A recent survey conducted by The Research Intelligence Group shows that 56% of all people who were looking for a lawyer during the year before the survey was conducted (March 2013) used social media in their online search. A fifth of the people that used social media to search for a lawyer said that they looked up law firms and lawyers’ social media pages to find out more about them and 17% of consumers indicated that the contents on these pages actually affected their decision. About 25% of the interviewed used Twitter or Facebook to ask friends for lawyer recommendations and about 20% consulted with social media contacts about the lawyers that they considered hiring. Eventually about 1/4 of all the people that were surveyed based their choice for a lawyer at least in part on the information they gathered from their social media friends and acquaintances. From what research is showing, now is the time to start developing a social media strategy for your law firm. The first step is to research on which social media networks your prospects are most active. Once you’ve figured this out, choose 1-3 networks to get started on and create your social media pages. Make sure your page looks clean and professional. Now the real work starts. You need to create interesting and engaging content to post onto your social media pages. It’s also important to seek out conversations regarding the niche you operate in and participate in these conversations. The best way to attract clients is to provide value on your social media pages and in your interactions with people on social media. Don’t forget to setup goals for what you actually want to achieve with your social media efforts and track whether you are reaching your goals. You may want to consider hiring a professional firm to help you out. The ROI will likely be worth it. More people in younger age groups use social media when searching for a lawyer. This means that social media networks will likely only become a more important source of clients for law firms in the future. Investing in social media today will help you gain more clients in the long term. Zane Schwarzlose is a writer at Alamo Injury Attorneys, a personal injury law firm in San Antonio, Texas. Zane thinks that evey law firm should have a social media strategy. Internal and external linking is an important part of effective SEO. It also means that you need to master the art of using anchor text for your advantage. 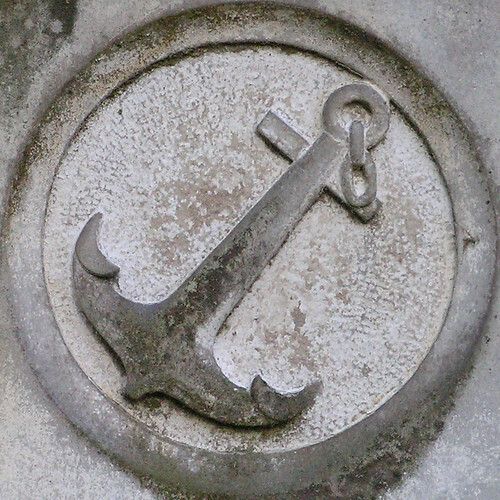 The importance of correct anchor text use is constantly increasing and it is time to start looking closely at the way you use anchor texts on your website.To help you use anchor text successfully here are five clever tips to take on board. The most basic thing to know about anchor text is that it should really be all about the keyword you want to highlight. So getting some basic understanding of what keywords are is highly critical in order to succeed. What anchor text as a keyword really means is that you should move away from anchor texts like “click here” and “this link”. If you want to direct the reader to somewhere else then use descriptive anchor texts like “best summer shoes” and “young person’s car insurance”. It is also much better SEO to use the anchor text to locate the reader to somewhere else rather then the homepage. If you just keep directing the person onto your homepage the reader isn’t really going to benefit from it and the search engines can even penalise you. So always think about a different site to transfer the reader to. Naturally, since your link should provide them with more detailed information on the subject you are talking about it should go somewhere on the site that deals with this dilemma further. You also should try to avoid using the exact same anchor text and link within your content. Search engines like Google penalise against this and therefore being original with your anchor text is highly recommended. It doesn’t mean that the anchor text needs to be completely different. Just change a few words from here and there and you are good to go. 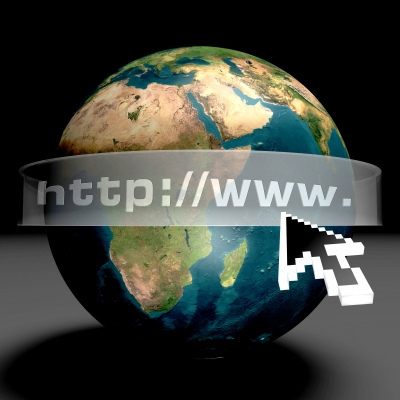 Make sure you also keep linking to multiple different locations on your website and not just that one page. You shouldn’t be afraid of using long-tail anchor text on your content. Although it is a good idea to have a mixture of both you can really boost your SEO with long-tail links. There is a good article for creating effective long-tail links at the Explicitly.me website. Give the article a thorough read and take the tips on board. Make sure that you try out long-tail links but don’t only include them on your content. A variation of anchor texts always brings the best results for your website. Above all you really need to focus on the context. The links you are using should always relate to the link and the things you are talking about. If you have a blog post on musical instrument, for instance, you don’t want to redirect the reader to read about car insurance. Be creative with your content and the way you use links but always keep the context in mind. The search engines might not penalise you but the people reading your content will not come back. Irene Taylor loves to find better ways to use SEO. She likes to test the best SEO tools on the internet and is always looking for new SEO blogs to follow. She also loves to travel and is currently planning a trip to China. Many people with only a basic standing of SEO need more information about how SEO can best be used, when articles are being written. The best methods are not taught in courses online, and they aren’t pulled from downloaded Internet manuals. The best teacher is experience, as a writer and in the SEO business. How Hard Is it to Write an SEO Article? There isn’t a magical science to SEO, and there is no one perfect way to write a positive SEO article. There are guidelines to follow, though, to make it easier for people to find your articles. SEO writing has a lot to do with common sense, and applying simple points that are based on well-constructed articles. Writing SEO articles isn’t any more complicated than writing standard articles for magazines. There are different factors that should be considered. The basics for writing a quality article are fundamentally the same. Whether you are writing for your own site or as a freelancer, the best SEO articles are always good articles, first. This means that the article needs to be useful to the people who reads it. It should give them a benefit that they are able to visualize, or offer them something valuable that is relevant and applicable to their businesses or lives. They should be able to easily relate to the content. A technically great SEO article, even in attractive WordPress themes, that is not of interest to your readers is not an effective article. Your website will lose potential customers or lose traffic and revenue from advertising. The article, if only written to be SEO compliant, will waste everyone’s time. If the article is not interesting, it won’t be linked to or picked up by link marketers, affiliates or anyone else. An article that is of interest to potential customers will boost the rankings of your site. Write for the people who will be reading your article. They must contain value-added and relevant content. They must be supported by good infrastructure on the website. SEO articles must have keyphrases and keywords that are topic-specific. They should be within the article seamlessly, so that they don’t disrupt the natural flow. In fact, the keywords should enhance an article and also be inconspicuous. There is no exact science that teaches the way to figure out what keywords should be used within a given article, so that it will come up in the results of search engines. Forget all about keyword software and Adwords®. These are designed by people who want to make some money giving you the basic instruction you can learn yourself online. Sit down with a pen and notebook. Write down any phrases and words that relate to the business interest or subject on which you are writing. Most of these should be used in the web page’s Meta data, and some can be used in an SEO article. It sometimes happens when you write an SEO article that you are given keywords to include. This is acceptable, meaning that someone else has determined the words to use. You still need to write an article of quality, and embed the proper keywords in the text. Including the proper keywords or keyphrases is not difficult, nor is utilizing hypertext links in your text. The “tech” part comes after the articles have been written. They need to be analyzed, to see how effective they will be in bringing in more readers to your site. Introducing Tumblr Sponsored Posts Now Powered By Yahoo! As we know Tumblr, which was recently acquired by Yahoo, 300 million unique visitors per month, and more than new 125,000 daily registers. To assist advertisers take advantage of on this growth, the blogging policy is kicking off the New Year with a foremost upgrading to its advertise platform. This is not just Tumblr’s first update into sponsored posts. Previous year the system begins presenting an ad on its Radar, a segment of the dashboard observable to all users on Tumblr. And the end of 2013 the Tumblr launched sponsored posts into its mobile interface. As part of its totally refurbished ad solution, Marissa Mayer declared that Tumblr Sponsored Posts are now powered by Yahoo Advertising. As an effect, organizations and media shoppers will have an additional sleek way to purchase ads on Yahoo partner sites like Tumblr and finally, Flickr. Yahoo CEO Marissa Mayer publicize on 7th January, 2014 in Las Vegas new prime ads for Tumblr powered by Yahoo Ads, a Yahoo Audience Ads system to aim ads across Yahoo and associate sites, in addition to a new Yahoo Tech site, a Yahoo News Digest applications and much more. “The internet advertising world nowadays is fragmented, tricky to navigate and not for all time user friendly” official statement of Yahoo. Exterior of the ads unit, Burke said Yahoo is launching a new Ad Manager, which is expected to provide advertisers straight right of entry to the businesses ad product or service, not considering of what company’s size small, medium or large. Along with a latest Yahoo Ad Exchange an open forum for systematic ad-buying. Mayer coming back for speaks about main parts of search, communications, digital magazines, and video. They are “powered by two incredibly vital engines” Flickr and Tumblr. Mayer describes Tumblr, one of the extremely influential publishing platforms on the web and the intelligence behind the fresh digital magazines. She extols of founder David Karp and she requests him to come up to the stage. Karp comes on stage and speaking about how engagement goes like a bullet by 55% previous year and 250% when speaking about especially mobile. David Karp said that the usual Tumblr post was re-blogged fourteen times but that the average sponsored Tumblr posts which is an ads was re-blogged ten thousand times. The company is now going to join together Yahoo Advertising peculiarity into those Tumblr sponsored posts that will permit advertisers to targeting their audiences by gender, geographically and other data point of views. Tailored audiences: This feature allows targeting your audience by gender and location. Pay for engagement: You can only charge for any action such as re-blogs, likes, follows and clicks on the sponsored post. Guesswork testing: Advertisers can check some manner and then focus that campaign which creative style performs finest. Analytics tools: Use this features for tracking demographic data and measuring outcome. 60% of Tumblr users who have seen Sponsored Posts locate the content fun, engage and top quality. 70% of customers feel that a brand additional popular after seeing a Sponsored Post. 50% of users who saw Sponsored Posts studied the sponsor afterward. “We are excited to launch these enhanced abilities to the salient creative work and native advertising experience that describe sponsorships on Tumblr” said Karp. This is wherever advertise is really enjoyable and we designed on keeping it that way. These latest Yahoo Advertising products present businesses and advertisers the mainly engrossing ways in the marketplace to exactly target campaigns, use data and insights from Yahoo, advertisers and third parties. For the reason that Yahoo is at the middle of people’s daily behavior across search, communications, media and videos so they can offer inimitably powerful insights on customer behaviors. About Author: John and Jeremy provide best social media training on Facebook, Twitter and YouTube presence. They are dynamic and energetic Social Media Speakers and Founders of the Social Expert Academy. http://www.areuconnected.com/wp-content/uploads/2014/01/logo.png 0 0 Guest Blogger http://www.areuconnected.com/wp-content/uploads/2014/01/logo.png Guest Blogger2014-01-13 09:00:062014-01-11 17:45:00Introducing Tumblr Sponsored Posts Now Powered By Yahoo! What Will Happen To SEO In 2014? Google has announced through many of its updates directly and indirectly that search engine optimization will take a shift towards something else in 2014. While a few of the elements that described the SEO scene in 2013 and before will still be valid in 2014, there are going to be some changes that will have a deep impact on how businesses market their products, how they get those natural looking link profiles and the way they feed their data to the search engines. With that in mind, below this article will expand on some of the main changes to affect SEO in the new year and see what online marketers and businesses need to do to maintain and also increase their visibility and ranking. The last few years have been spent by many online marketers preaching and practicing the importance of being local, mobile and of course, social. Everyone was concerned of how well they ranked for certain keywords and how those keywords affected the search engine results potential customers saw. At the same time though, came the convergence of social and local websites that molded into Google local results. The importance of mobile became more and more important and a lot of people made their websites mobile friendly and optimized them properly so they can get more traffic and here is where 2014 is at as well. Without a website that is well optimized and designed, businesses should not expect any major increases in sales. One of the most important factors online marketers need to keep in mind is that in 2014 the mobile user experience is so important that it’s a vital factor for achieving success. If a website offers excellent user experience, then that website has a much higher ability to engage users than one which isn’t mobile friendly. Even more, it directly affects a website’s potential of generating conversions. According to the latest statistics, traffic from mobile devices has increased by more than one hundred and twenty five percent compared to desktop users, which only had an increase of twelve percent. This doesn’t mean though that desktop search engine optimization is not that important anymore. The same study discovered that mobile users had a conversion rate that was three times poorer than that of a desktop user and that is because of the poor mobile user experience. That is why anyone who has a website they want to make money with should definitely focus on first of all offering an excellent mobile experience. Online audience optimization or OAO is something that some experts believe can have the power to replace the good old SEO everyone knows. For those who don’t know what OAO is all about, well, it involves the optimization of online content with the visitor in mind, rather than just meddling with the factors which affect the rankings on the search engine. OAO is currently a new form of marketing that consists mainly of user friendly search engine optimization practices and high quality content coupled with branding, social media and similar methods for optimizing a certain audience. Even though OAO is new and not so well known, experts believe it’s the future of SEO. When it comes to linkbuilding search engine optimization quickly becomes foggy, since there are a lot of websites that have been penalized by Google’s updates because they got links from suspicions sources. In 2014, Google will once again update their algorithms in order for these websites to be yet again penalized and ranked lower. The content displayed on a website is one of the most vital aspects of success, since it has the power of drawing the attention of visitors and convincing them to read on and eventually convert them into customers. In order for this to be possible though, the content needs to be meaningful, relevant and create impact so that users are urged to take action after reading it. However, engagement is also about web design and not only content. Words also need to look good, not only flow and read well. This means that the letter line spacing, font selection and page layout need to be harmoniously combined to create a webpage that immediately attracts the visitor’s attention. As a result, users will spend more time on the website and bounce rates will greatly decrease. According to http://neueseocanada.com Search Engine Optimization in 2014 will still hold on to the majority of its core elements, but some of the changes will force online marketers to reconsider their marketing strategies if they want to still remain relevant in their industry. While they won’t be monumental, these changes are going to be impactful. This post is written by Larry Smith, the Director of Internet Marketing at Neueseo, who is an expert in Web Development, Online Advertising, SEO and a specialist in the management of Google AdWords Advertising Campaigns. http://www.areuconnected.com/wp-content/uploads/2014/01/logo.png 0 0 Guest Blogger http://www.areuconnected.com/wp-content/uploads/2014/01/logo.png Guest Blogger2014-01-12 07:29:232014-01-10 06:36:15What Will Happen To SEO In 2014? If you want to improve the online presence of your law firm, you cannot just stick to one strategy. Online success is possible by understanding available marketing tactics and using them together in perfect harmony. Here are some of the tactics you have to focus on to bring up online success for your law firm. Your law firm’s website is the center of your entire online presence and marketing campaign. Given its importance, you have to make sure that your website is perfectly optimized for search engines. If you hire a website design company, you have to make sure that the team responsible for your website understands SEO and optimizes everything on your site. They have to do keyword research and use them in the filenames and URLs on your website. Everything on your website, from your URLs and headings to the meta-tags, images, and text needs optimization. The link structure, load time, and site content categorization also matters. Search engine algorithms take these and many other factors into account when calculating your site’s page range, and you need to stay updated with the latest developments in these algorithms to stay on top. The latest Google search engine updates make external back links from high-quality websites critical to your page ranking. You have to focus on getting those links to your website, and one good way to do this is through relevant, high-quality content. Article submissions and marketing work to a certain extent, but you need to focus on higher quality websites and sources for your links. If you still rely on such sites for your link building strategy, you need to refocus fast. Social media is pretty much the focal point of every company’s online public relations strategy. As a law firm, you need to reach out and improve your image through social media too. When marketing a law firm, it is important to look in to a number of options. You should reach out to blogs as well, which is the modern source for most news in a world where journalists have little time or patience to work on traditional print media. Deliver compelling and trending stories and unique content to get their attention and get your story on social media. Social media is even more important given that most of your potential law firm customers would be using it in some form or another. A strong presence of these websites will let them know whom you are and what you have to offer. Content once again plays a big role in social media marketing, but so does visitor engagement and communication. Given the importance of content in almost every online marketing tactic, it makes sense to create a clear and powerful content marketing strategy too. Quality content is king, and poor quality can ruin the best SEO, public relations, and social media marketing strategies. Get people to write deliver high quality blogs, videos, eBooks, infographics, and podcasts, and share all that content across all your online social media channels. Derek Langley is a freelance writer interested in writing articles related to marketing. Most often he writes articles for recent marketing strategies for law firms. Facebook reached the one billion user mark in June 2013, according to Facebook announcements, which gives your business a broad range to reach different people and markets. While the amount of traffic is the highest out of any social networking site, the trick is getting your users to actively engage with you on your page. When you have users who want to interact with you and your brand, you’ll benefit from higher impressions, a better connection with your potential buyers and a platform that allows your visitors to easily share your content and word of mouth recommendations. You can talk at your potential customers all you want, but you aren’t going to get them to stick around on your page unless you give them a reason to do so. The first order of business is to produce engaging content that helps to promote user interaction. Don’t talk at your customers, talk with them through your content, giving them posts that they want to engage with, whether that’s a funny video or an insightful comment, recommends Pagemondo, an online tool for designing Facebook fan pages. You can schedule posts in advance with many third party social media software apps, with HootSuite, Sprout Social and PostCron. These tools also work with Twitter, so you can coordinate your Facebook posts and other social media interactions. These tools also allow you to create a large marketing campaign at once, instead of doing small amounts day by day. Part of Facebook’s paid advertising tools is a feature called promoted posts. Your standard Page posts only reach a certain percentage of your page followers, along with anyone who has added your page to a specific interest list. With a promoted post, you expand the number of people who see your post. The pricing on this varies greatly, depending on how big your page is and where you’re located at. It’s easy to see exactly how much promotion will cost, as you get the figure as soon as you click the promote button by a post. Use small business cards for any marketing efforts so you keep track of how much you spend on advertising and earn points on the card for other purchases and perks. Hashtags are a relatively new addition to Facebook and one you need to utilize for your small business page. Like Twitter, Tumblr and other social sites that use hashtags, these phrases connect your content with that particular tag. Users can look through tags and see all of the content across the site that has a hashtag with those particular words. Focus on trending keywords that are relevant to your business, as well as overall keywords that represent you. 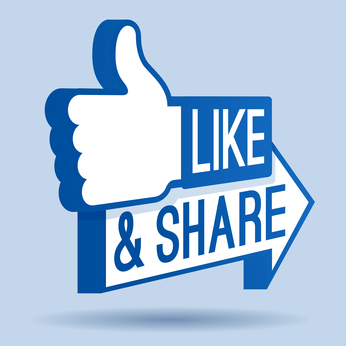 Nothing gets Facebook sharing content such as free prizes and contests, says Social Media Examiner, an online social media magazine. Not only do incentives allow your customers to get excited about your brand, they also allow you to get your product in the hands of new customers. You might end up converting someone from being on the fence to being a loyal customer in just one step. Another way incentives provide long-term engagement is through regular coupons. Once you get the conversation started, don’t let your customers run with it alone. Provide insightful commentary into what they’re talking about. Working with a marketing company like iAcquire can help you develop and tailor information that allows your customers to see where you’re coming from. If it’s an issue that relates to your industry, providing good commentary allows your customers to see that you know what you’re talking about. It’s all about building trust and authority within your niche. It doesn’t happen overnight, but with time you’ll end up showing your customers that you know your industry inside and out. This helps with customer loyalty and word of mouth recommendations, which tend to grow your customer base rapidly. Joanna Moore – Joanna runs social media campaigns for local charities. Why you Need PPC Management Agency for Your Campaign? All Businesses that desire to have victorious internet marketing campaigns often decide to hire a professional agency which offering a Pay per Click Management service. This article seems at this form of online marketing and the benefits of hiring a reliable agency to assist promote your business on the net. Here are few points to consider why you need PPC Management Agency for your campaign? When appointing a skilled PPC management agency, you can be relieving of routine PPC campaign management because specialists, who are expertise in it, educated and experienced, and will pay attention of it. PPC remains on altering as it is a dynamic area. PPC expert will be attentive of the newest change in the industry. So you do not have to waste your time to learn PPC or get updated with the industry developments. PPC Expert knows their accountability and will focus on optimizing your pay per click ads and extort the utmost worth. Analyzing and appraise the planning of your competition could provide vast insights into steps that require to be utilized to make sure the victory of your marketing efforts. The greatest strategy to go about it is to set manually in the spot of your consumers and then verify the ads given by the competitors as well as your ads. The analogical analysis would give an apparent treatment of the efficiency of your ad campaign. Identify its efficiency in achieving the necessary traffic and conversion rates. It is hard for a business holder to take time for PPC while operating their business. Whether it is a tiny, average or giant business, they have their boundaries and preset funds that are allocated for their PPC campaigns requirements. Based on needs and budget of a business, skilled PPC agencies should have the ability to bring consequences in a specified fund by selecting the alternatives that top fit the objectives of a business while uphold and proceed excellence service. While several superior consequences can arrive from doing it this way, it can take longer. If you are not veteran this area, a sure amount of trials and errors will be mixed up with the selection and manipulation of the keywords and keyword phrases. As a result, any consequences that you get may take an important time to build a helpful outcome on your click rate and your search engine ranking positions. Growing the traffic to your website will by default, boost the sales for your business. A PPC management agency will help you work out the ROI for your PPC campaign and they will obtain you the most excellent results within your budget. The advantage of hiring skilled PPC management agency is that they will appraise the campaign on a normal basis and provide vital metrics based on the performance of your campaign. Such information will assist your business to get better your campaign by keeping way of Conversions Rate, CTR and help achieve profits. The chief goal of any marketing agency is to increasing profitability. When it appear to PPC campaigns, it will help to drive traffic on your website, turns visitor into customer and thereby revenues. About Author: Sean Pritchard is founder of Madword-Media. Bringing over 7 years experience in Internet Marketing and he is Google Certified PPC Expert. Follow Madword-Media on twitter @MadwordMedia. http://www.areuconnected.com/wp-content/uploads/2014/01/logo.png 0 0 Guest Blogger http://www.areuconnected.com/wp-content/uploads/2014/01/logo.png Guest Blogger2014-01-02 07:07:532014-01-03 02:26:15Why you Need PPC Management Agency for Your Campaign?